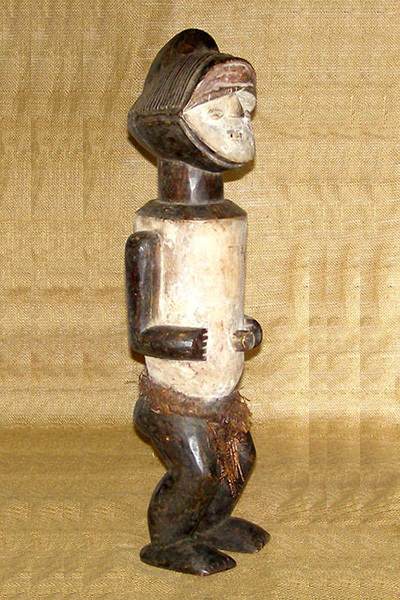 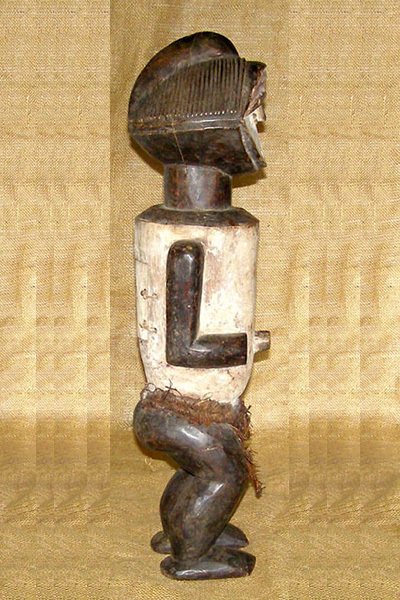 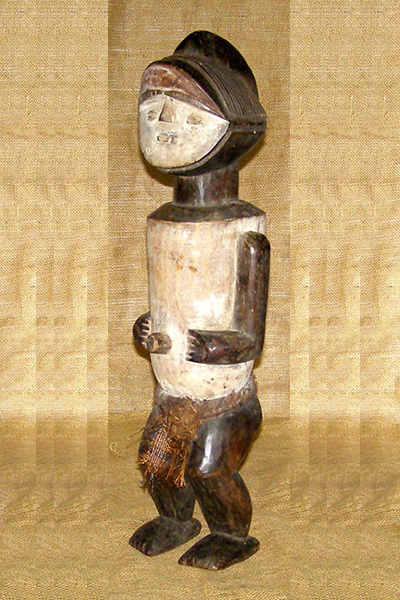 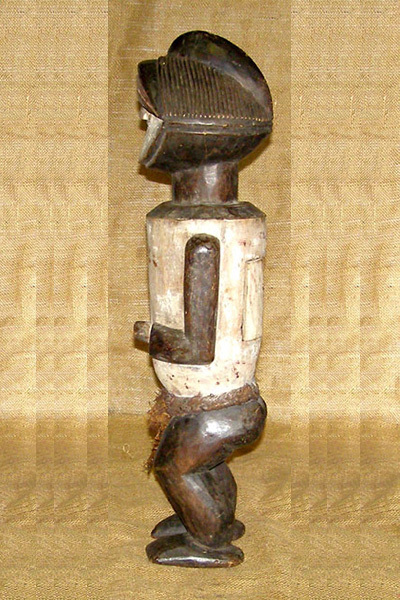 This African statue from the Teke tribe of the Congo is a nail fetish measuring 23.5 inches tall. 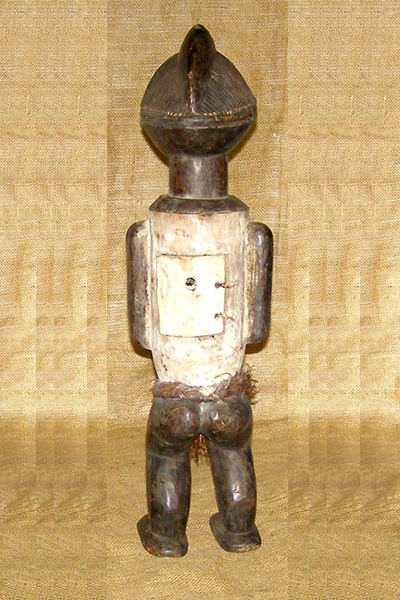 Hand-carved of wood this African statue features nails concealed behind a door carved into the back of the piece (pictured). 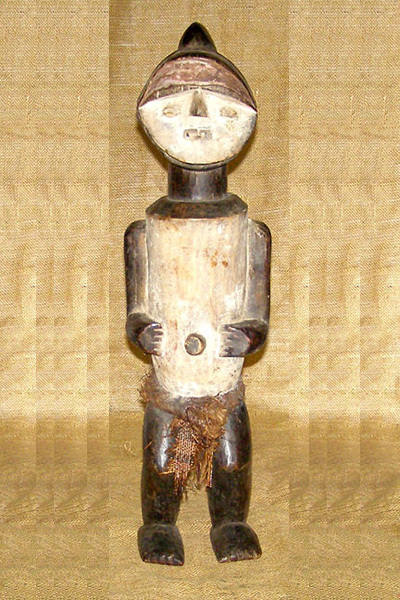 This Teke Statue is over 35 years old.